Let me begin and end this post with one request. Invite your adhesive rep to visit and provide training for your technicians on what’s new with their products. Although I routinely preach the importance of cleaning glass properly to insure solid bonding, today that advice is more important than ever. There are several new procedures and products that should be introduced and put into practice as soon as possible. 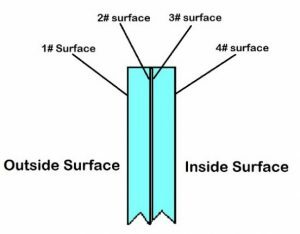 Adhesive representatives and chemical engineers tell me that the number one reason for adhesive failure is improper cleaning of the surface. Adhesive companies have stepped up their training on this topic recently for good reason. 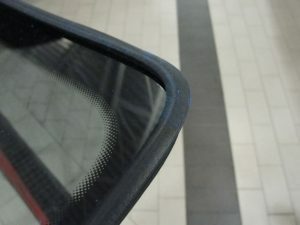 We all know that the most important area on the windshield for care in cleaning is the frit area. The frit is the black painted band around the interior perimeter of the glass that protects the urethane from ultraviolet (UV) light. It’s usually applied to the number four surface of the glass. 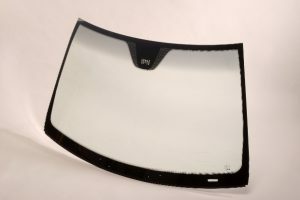 The frit not only protects the urethane from UV light, but it also provides an additional mechanical bonding surface for the urethane to bite to. The peaks and valleys created by the frit paint application in the manufacturing process provides more bonding surface for better adhesion. Until now, techs didn’t worry about internal frit preparation. What is an internal frit? It’s the black band of ceramic paint applied to the number 2 surface of the glass, not the number 4 surface. There is at least one manufacturer that applied a frit to both the 2 and 4 surfaces for aesthetic reasons. However, we are more concerned with the former type frit and not so much on the latter. We’ve seen internal frits for years, but until recently we didn’t know they needed special preparation. The preparation of the internal frit is very important to bonding success. Some use additional products to abrade/clean the surface. While others may use special procedures, such as “wet scrubbing” to clean and prep the surface for bonding. Either way, there have been changes you should be aware of and trained on accordingly. For those of you that use primerless products, please make sure that the cleaning and prepping procedures are followed and practiced daily on every installation. Primerless products are very convenient because they eliminate a step in the replacement process which saves time and money. However, primerless adhesive installations allow no room for error when it comes to preparation of the glass surface. 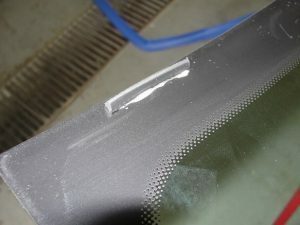 Any contaminants or “shortcuts” in preparation of the glass surface can result in poor adhesion, injury to your customers, and a liability for your shop. As promised, I’m ending this post by encouraging you to invite your adhesive rep for a visit and ask them to train your techs on what’s new about their products. Adhesion standards do change and your installation procedures must change too. This is important stuff, guys. Do it.